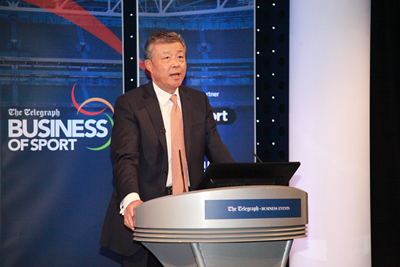 On May 9, 2017, Ambassador Liu Xiaoming was invited to attend the Telegraph Business of Sport 2017 in London and delivered a keynote speech entitled Deepening China-UK Sport Cooperation for a Better World at the opening ceremony. He talked about the development of sports in China and the cooperation opportunities for China and the UK in the field of sports. Jim White, sports columnist of Daily Telegraph, chaired the conference, and more than 300 people from business, culture, sports and media sectors attended the meeting and had in-depth exchanges of views on issues like cooperation in sports, development of competitive sports and investment in sports industry. Ambassador Liu talked about China's remarkable achievements in the development of sports: First, nationwide sports and fitness fervour has reached a "new high". The average life expectancy and population taking part in sports and exercise are much higher than the average in developing countries. Second, China's achievements in competitive sports have set "new records". Hosting the Olympic Games in Beijing, China has realized its century-old dream, and China's great progress in competitive sports has made an important contribution to world sports. Third, the reforms of China's sports administration have taken "new steps". China's sports administration has undergone profound reforms to build modern sports governance. Fourth, China's sports industry has become a "new economic highlight" with its scale expanding and the sports-related consumption increasing notably. Fifth, China's sports collaboration with the world has entered into a "new era". Hosting major sports events including Olympic Games facilitates China's cultural exchanges and cooperation with the world. Ambassador Liu noted that though China is a big sports nation, it is not yet a strong sports nation, facing the problems and challenges in the form of uneven development and inadequate administrative capability. In the long run, because of China's huge "population bonus", reliable "economic bonus", and significant "reform bonus", China's sports has a broad prospect and a huge market potential. Ambassador Liu stressed that Britain is the birthplace of modern sports and sports industry, as well as a strong sports nation. In recent years, China-UK sports cooperation has produced fruitful results and gained a strong momentum. The two countries should seize the opportunities provided by the "Golden Era" of China-UK relations, the Winter Olympic Games and other major sporting events, to match their strengths in sports and to deepen China-UK cooperation in cultural and people-to-people exchanges to achieve new success in China-UK sports cooperation. The Ambassador's speech won warm applause from the delegates, and was followed by a Q&A. 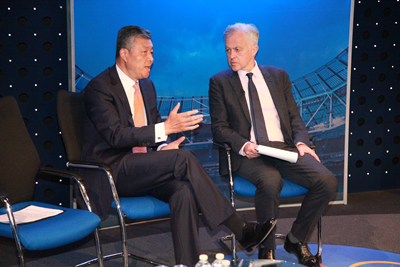 Ambassador Liu answered questions on China's policies on sports industry, Healthy China 2030, priorities of China-UK sports cooperation, China's overseas sports investment and the progress in the reform of China's football. On China's policies on sports industry and Healthy China 2030, Ambassador Liu said that China will unswervingly deepen the reform of sports industry to promote the national fitness and competitive sports. In the sports industry, China will continue to rely on market force, let consumer decide, reduce government intervention and encourage competition into the administration of sports to promote professional and commercial sports and vigorously promote foreign cooperation. The UK is a leader in sports and in the sports industry, not only because of their traditional history, but also because of their experience. So, there is great potential for China and the UK to collaborate in many areas of the sports industry. Britain and other countries should invest in the "gold mine" of China's sports industry, and in turn, China should seize the "golden opportunities" to cooperate with foreign countries. With regard to the priorities for cooperation, Ambassador Liu said that the key is to focus on matching respective advantages and work for mutual benefit. China and the UK could carry out extensive cooperation in areas of sports management, sporting events, copyright, naming rights, media and publicity, clubs and teams, sports medicine and sports services, etc. Concerning China's investment in overseas sports industry, Ambassador Liu said that from 2011 to 2016, acquisition and investment by Chinese enterprises in overseas sports sector has soared from US$ 4 million to nearly US$ 1.4 billion, an increase of 350 times in 5 years. He is convinced that in the next five years, more Chinese investors are expected to seek opportunities for cooperation and investment in the sports industry in the UK. In relation to football, Ambassador Liu said that the Chinese people love football and have three dreams for the Chinese football team, namely, to win the Asian cup, to host the World Cup, and to win the World cup. China-UK cooperation in football enjoys a promising prospect not only in the exchanges of clubs and players, but also in promoting football culture and non-governmental exchanges. The delegates said that Ambassador Liu's speech helped them have a comprehensive understanding of the development of sports in China. They admired China's achievements, and had high expectations for the prospect of China-UK sports cooperation. 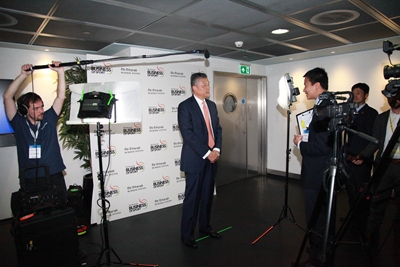 After the Q&A session, Ambassador Liu gave an interview to Daily Telegraph. The Telegraph Business of Sport 2017 from May 9 to 10 was held in London by the Telegraph Media Group as an annual event for the third consecutive year. 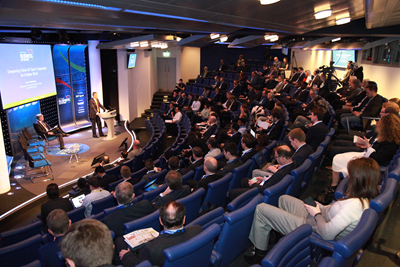 The theme of the conference this year is "to steer the UK sports industry to growth, innovation and collaboration". Elites from sports, business, media and cultural circles were gathered at this conference, making it an influential platform for exchanges and cooperation in sports. More than 20 media groups including Daily Telegraph, BBC and Yutang Sports of China reported this Conference. Ambassador Liu giving an interview to Daily Telegraph.